Feedback from thousands of patients with cancer remains unpublished, researchers have found. The feedback comes from up to 49,000 patients who took part in UK-led clinical trials in 2000-14, according to a study led by the University of Birmingham. The unpublished information details how the trials’ cancer treatment affected patients’ overall health and quality of life. The study found that while most trials published data on cancer progression and survival rates, more than one in three failed to publish the patient reported outcome (PRO) data they had collected. The researchers highlighted the variability in standards of PRO trial design and reporting, and suggested that the non-reporting of PRO findings is ‘widespread’. Joint-chief investigator for the study Derek Kyte, from the University of Birmingham’s Institute of Applied Health Research and the NIHR Birmingham Biomedical Research Centre, said researchers should use newly developed international guidelines to ensure vital data is published. 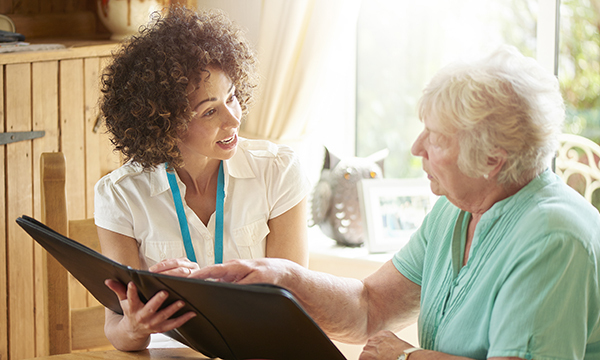 ‘Our research has shown that researchers need to work far harder to make sure important quality of life data are made available to patients and their clinicians. Georgina Wiley, a nurse and a treatment and recovery adviser at Macmillan, said: ‘Cancer treatment can have a big impact on a person’s quality of life. ‘Therefore, people need all the available information to make an informed decision before starting on it. ‘Information should be provided about what life might be like for them while undergoing and recovering from treatment, alongside realistic advice on how much it might increase their chances of survival.